You can associate a language to a particular customer through price categories. Price categories are a great tool because they also allow you to define several parameters such as accounting code or currency. 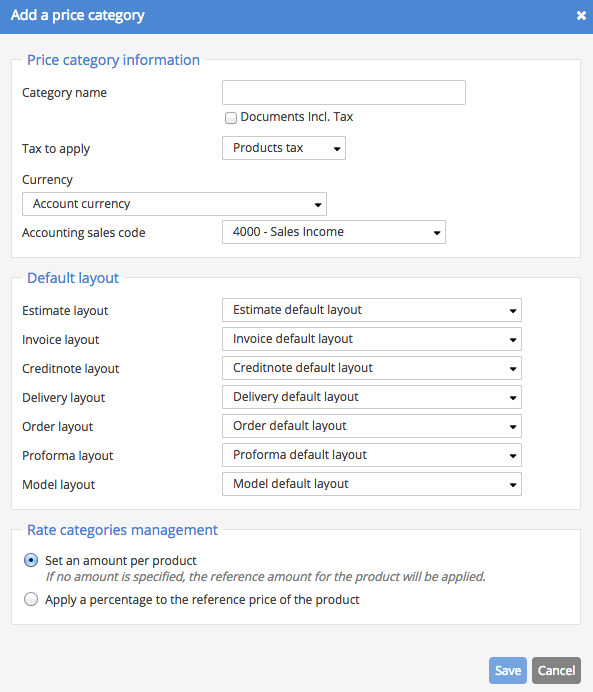 To create a price category, click Settings > Catalog > Pricing and tax. Add or edit a price category. You can then choose the desired document layout. To apply the price category to a client, open the file and click Edit. In the window that opens, you can select the desired price category.